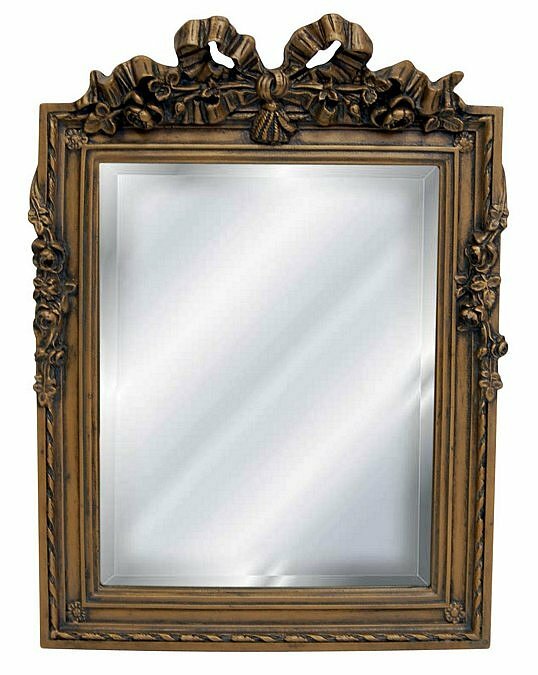 Hickory Manor House 3814GW - Hand crafted from antique castings, Hickory Manor House mirrors have a timeless quality and capture the original look and feel of period pieces. Made in the USA (North Carolina) from a durable pecan shell resin material, this mirror has the appearance of natural wood and will grace your walls for many years to come. Shown in a gold wash finish, but available in dozens of standard and premium finish options. Please contact us for details. Overall Dimensions: 10.5" x 14"